… and this video shows it all off nicely - especially how thoroughly they’ve thought through it all. Diving into the package i received! We’re all snowflakes! 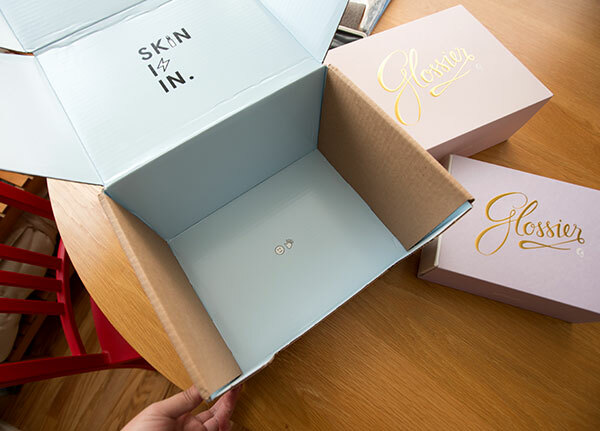 … love that they bother to have a splash of color greet you INSIDE the cardboard mailer… and it perfectly fits the gift boxes. … little surprise under it all! Why? 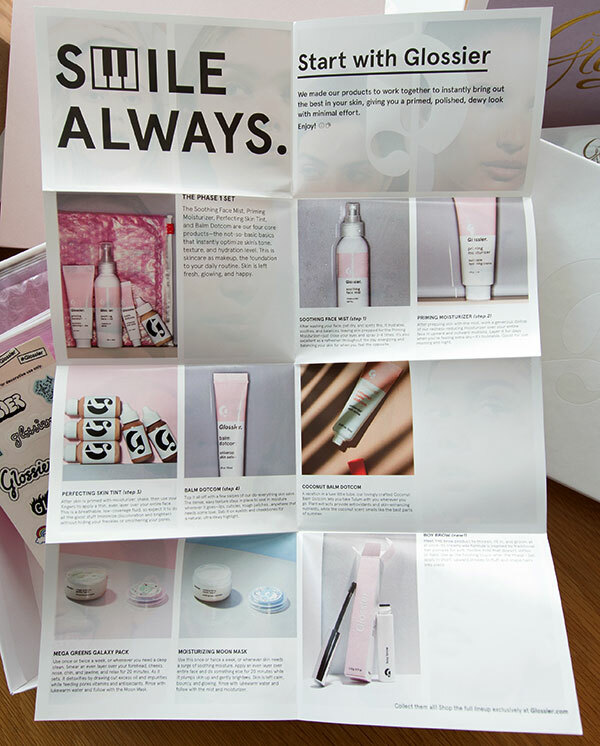 Because… and Smile Always! 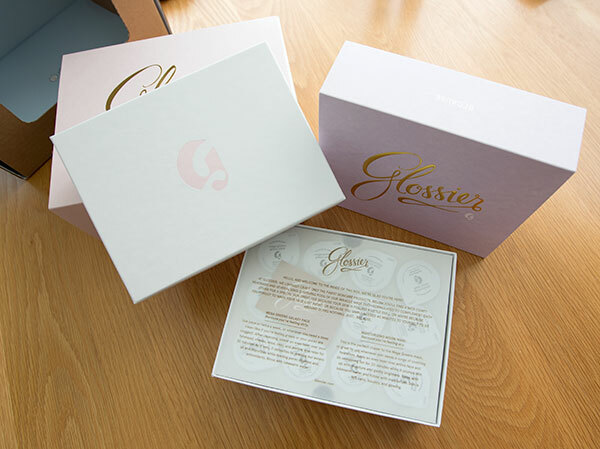 Into the smaller purple box… Glossier Mask Duo Set. There’s the candy inspired vellum paper to tell you what’s what! The nespresso like mask pods!!! They feel so satisfying. And the scored/folded tray they sit in is SO hefty! Tucked beneath is the plush terry headband to complete the set and relaxing experience. 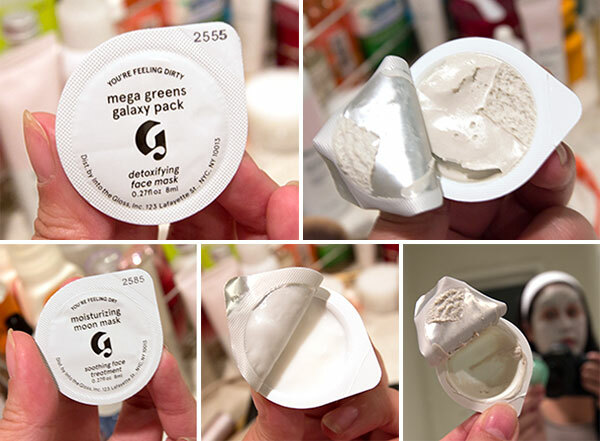 Trying the masks… the Mega Green Galaxy Pack is far fluffier and more souffl� like than expected - it feels lovely! And the Moisturizing Moon Mask is SO moisturizing. Both work great on super sensitive skin. 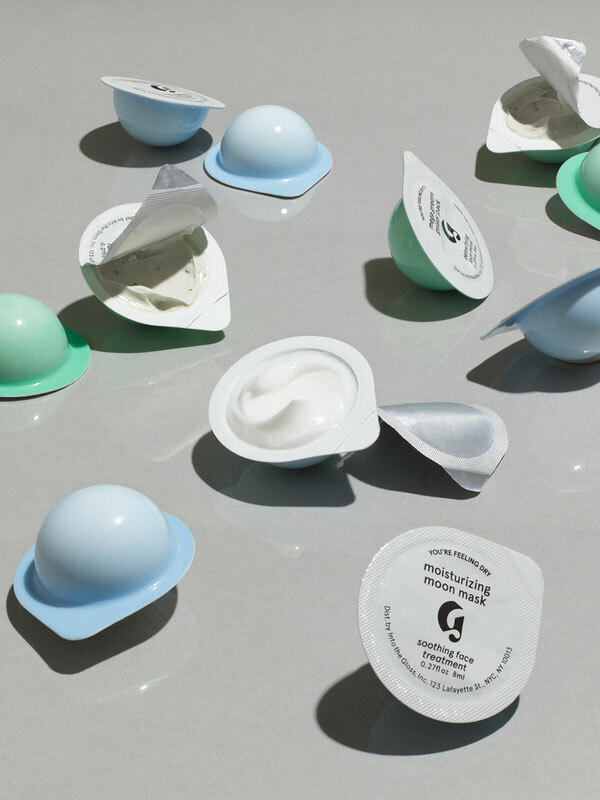 Diving into the Glossier Phase 1 Set… stickers! another golden ticket! 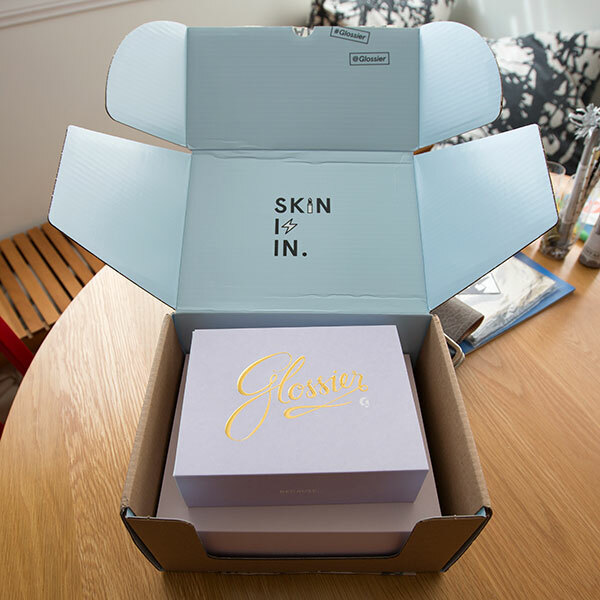 and a booklet of their products greet you before two packs containing their Soothing Face Mist, Priming Moisturizer, Balm Dotcom, and Perfecting Skin Tint. Fun - and i like that it’s pretty minimal while still playful. 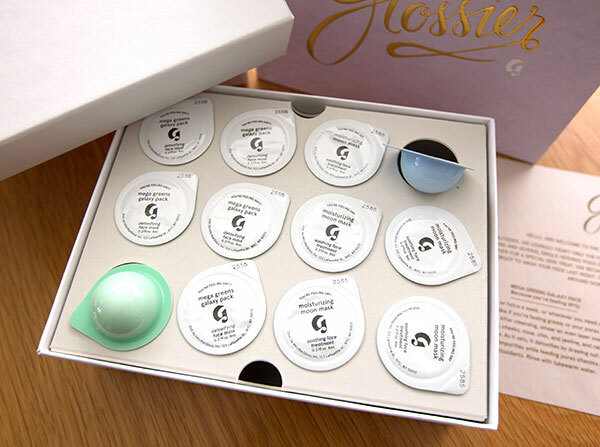 I’m adoring the packaging most of all - and so far loving the masks. 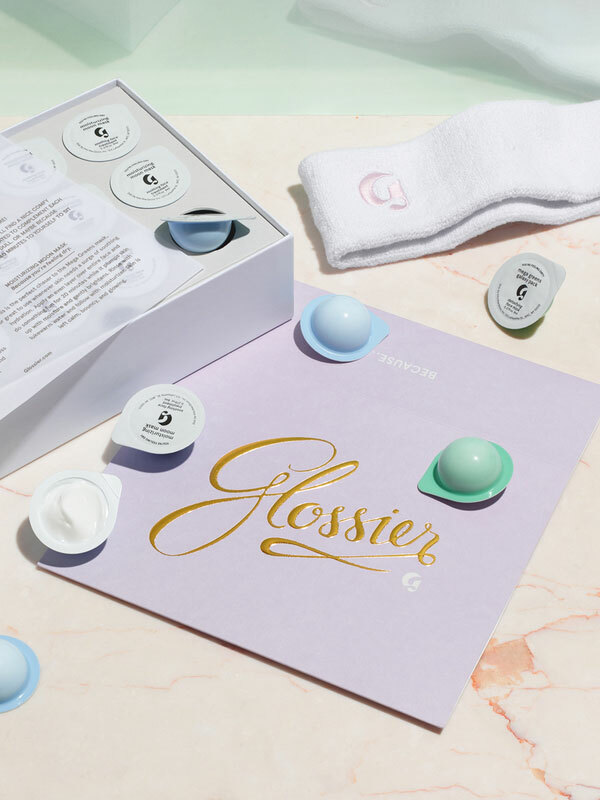 The Glossier Mask Duo Set is a fantastic gift - in both presentation and product - for just about anyone. As for the basic products i’ll give a try for a few more days at least, but so far they aren’t replacing anything in my bathroom… yet.